The constant rain of this past week brought water into our basement, as well as water leaking into our family room from the ceiling. With water coming from the top and bottom, I felt the need to indulge in some chocolate. I mean really, is there any better way to reduce stress? Nope…I don’t believe there is. 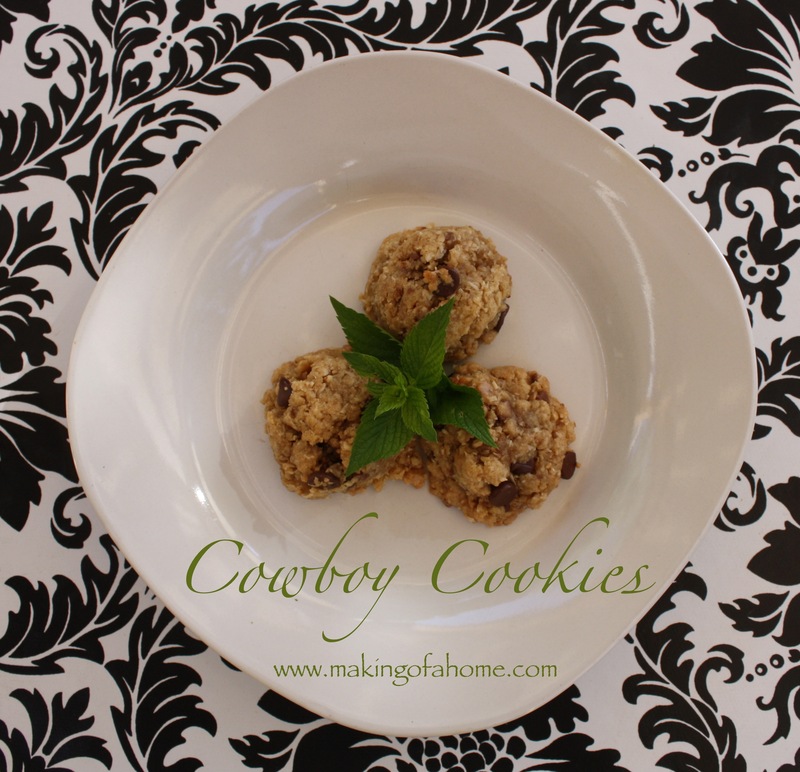 So, today I bring you last week’s chocolate fix: Cowboy Cookies. These cookies are filled with all kinds of sweet goodness, sure to lift anyone out of whatever summer slump you may be in. Enjoy! In an electric stand mixer, add 1/2 cup butter and 1/2 cup peanut butter. Mix until smooth. Add 1 cup granulated sugar and 1 cup brown sugar. Mix until sugars and butters are well creamed. Next add 2 eggs and 2 teaspoons vanilla. In a separate bowl, mix together 2 cups all-purpose flour, 1 teaspoon baking powder, and 1/2 teaspoon baking soda. Slowly add the flour mixture to the blended mixture. Then add 2 cups rolled oats, 2 cups coconut, 1/2 chocolate chips, and 1/2 cup health bits. Mix until all ingredients are incorporated. Roll the dough into golf ball-sized balls and place on a greased cookie sheet. Bake at 375 degrees for 8 minutes. 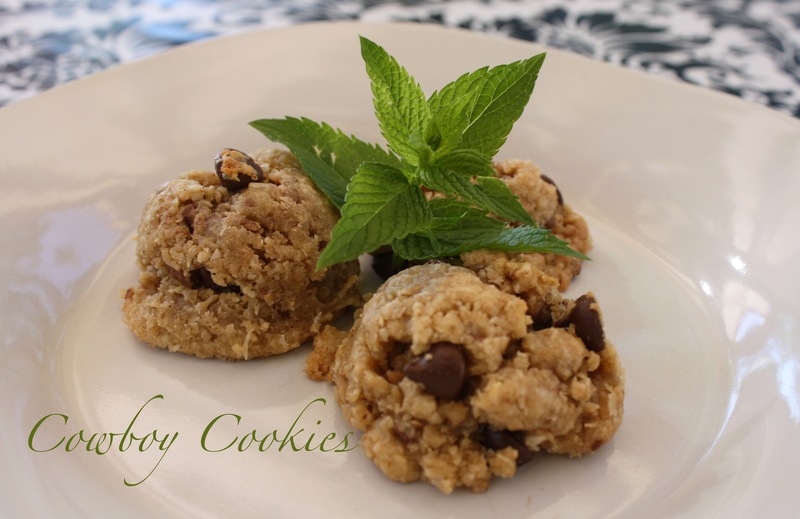 This entry was posted in Recipe and tagged cookie, cookie recipe, cookies, cowboy cookie recipe, cowboy cookies, DIY, eco friendly, food, holistic, holistic living, home, homemade, homemade cookie recipe, homemade cookies, homemaker, homemaking, make, making, mama, mindfulness, mom, mother, organic, recipe, sustainable, sustainable living. Bookmark the permalink.